The latest novel from the author of THE FATES WILL FIND THEIR WAY is a tale about a family reunited by the suicide of their estranged serial-marrier father. Told from the perspective of the apathetic (but witty) Kate Pulaski, REUNION delves deeply into the dynamics of this dysfunctional family in the lead up to the funeral which will play host to former-wives, half-siblings, and revelations. Crafting a novel about family is a difficult undertaking. Writers have to face, and trounce, the urge to layer their concocted families with bizarre traits and flamboyances that could potentially topple their narrative into a parody. Hannah Pittard avoids this by making Kate’s father’s insatiable appetite for marriage is the novel’s only contrivance, and by emphasizing the authenticity of her wide cast of characters. I never particularly liked Kate – bursting with insecurities and an inability to empathise – but somehow, come the final pages, I realized I’d completely fallen for her. Kate is an adulterer, and therefore more like her father than she would care to admit. She is a failed screenwriter, heavily in debt, and an uncanny knack for making inappropriate comments at the worst times. Her flaws are genuine and relatable; the overriding one is her perpetual comparison self-appraisal between herself and her siblings. When the novel begins, Kate has blinders on: she images her brother and sister, living their lives with glee, with abandon; she holds theirs on a higher pedestal than her own. Through these pages, Kate learns that everyone has secrets, and everyone’s life brims with inadequacies; it’s human nature to believe our own are the most extreme, and therefore most prevalent. I don’t have siblings, but reading REUNION in Brooklyn, thousands of miles from family in Australia, reminded me that it’s the little things you miss most when they’re not around, and as frustrating and galling as relationships with our kin can be, they’re essential to our happiness. REUNION is not bogged down in the specifics of the death of Kate’s father. Ultimately, it doesn’t matter why he committed suicide; what matters is how the family reacts and compensates for the sudden void in their lives, and the realization that, although he might not have played a major role in their lives, the loss of their father still matters. 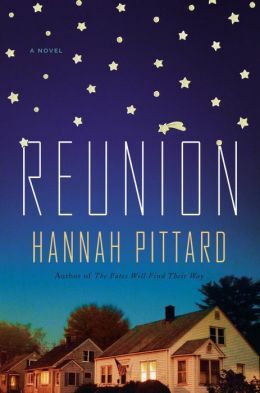 Riddled with humor and always heartfelt, REUNION is a wonderful tale about family and comes highly recommended.